The entire Sheffield University Humanities project incorporated a 310m² refurbishment of the villa and the 435m² extension. A key feature of the construction works was extensive refurbishment of the pavilion, restoring it to its former glory, within a new landscaping dimension to complement the building’s original elegance. The design is recessed into the ground and sits comfortably along side the delicate neatness of the Georgian Architecture. 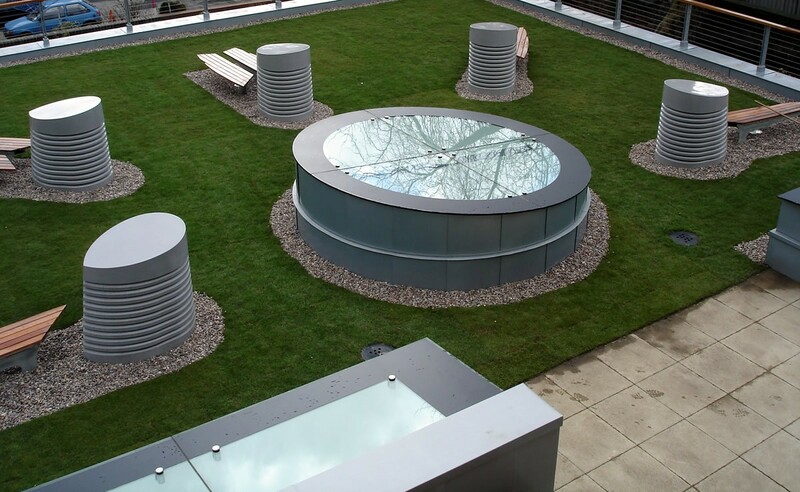 The flat green roof is lawned to soften the presence of this very contemporary structure. Function drives the aesthetics, but there are some very interesting and bespoke design features within the scheme. A circular glazed roof-light is connected to a drum beneath that orientates the user through the extension and provides borrowed light into the office space adjacent. 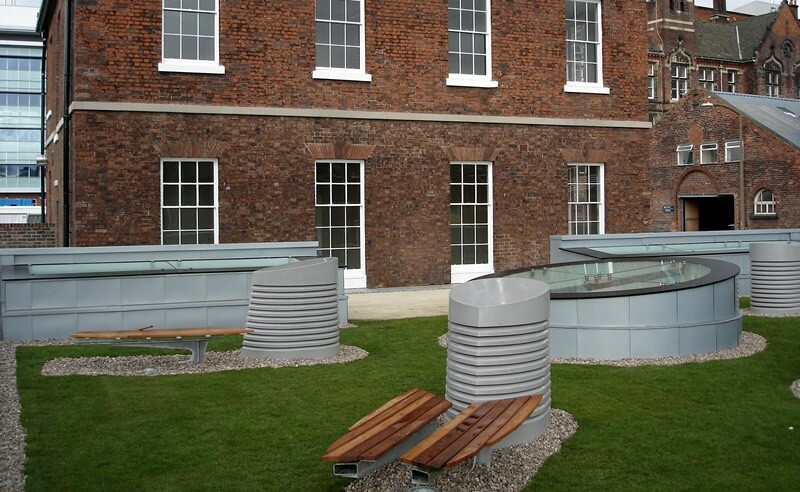 The green roof space is populated by passive ventilation units allied with a bespoke seating area, its symbolism attained within freemasonry history, is designed to provide a social use for the garden. Green roof system. Intensive roof garden/lawn built on a concrete roof. Substrate depth approx 450mm, pebble boarders and turfing. 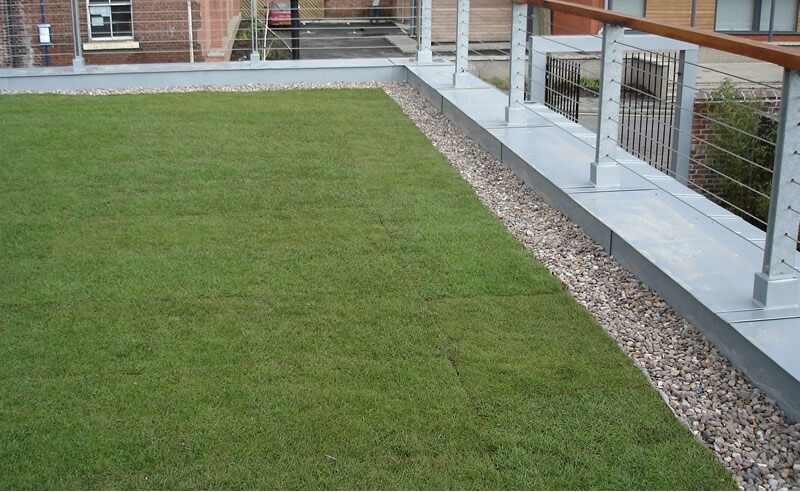 Established Sheffield-based company specialising in various kinds of flat roofing. All work carried out to the highest specification.